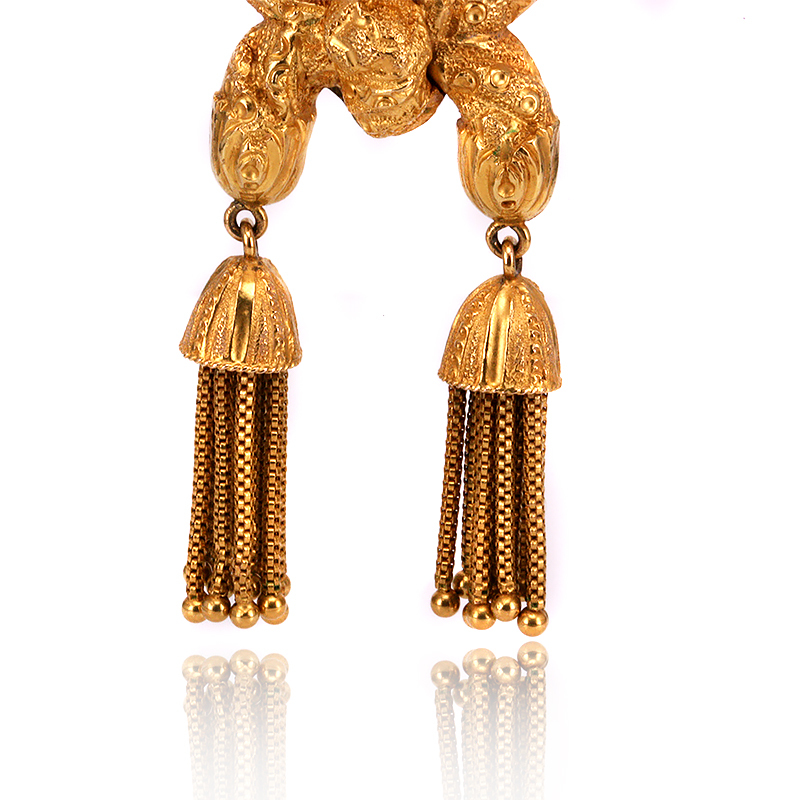 Product code: ES8144 Categories: Sold Items, Sold Jewellery. Here is an exceptional quality mid-Victorian era antique diamond pendant with two tassels that is the epitome of quality and craftsmanship. Made in 18 carat yellow gold, this magnificent pendant measures an impressive 86.6mm in length by 29.2mm wide at the centre. From the beautiful bail at the top to allow a chain to slide through, to the two magnificent tassels at the bottom, all of this will make you appreciate the intricate detail and work that went into making this piece well over 100 years ago. And then there is the centre with the beautiful wreath design which proudly shows off the antique mine cut diamond. This diamond has such an incredible sparkle to it and measures 1.16 carats in weight. The way it just sits so elegantly in the centre just catches the light perfectly and will make this a piece that will be admired and appreciated from near or far. Even the two tassels at the bottom have such fine detail on the caps supporting them and it is incredible to think that all of this was achieved all those years ago. From near or far the quality of this piece will always make it stand out as an exceptional quality antique pendant from the glorious Victorian era. 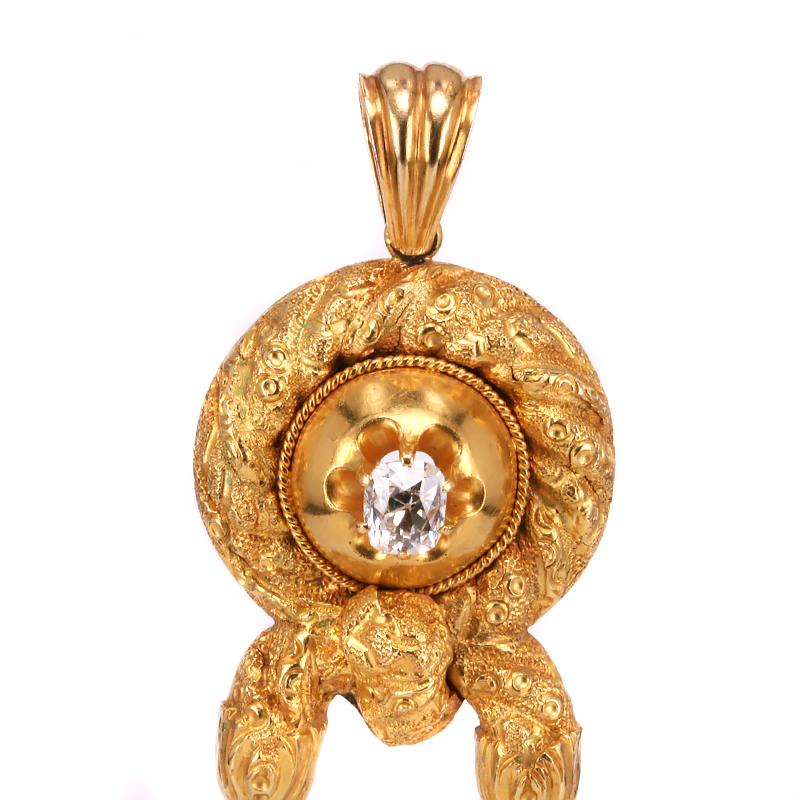 This antique pendant is set with a 1.16 carat antique mine cut diamond. Made in 18 carat gold, it dates from the 1870’s.